Our BAYEDE! 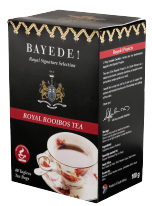 Royal Rooibos Tea Selection is selected top quality and is Rooibos in its purest form with a low wood content. Our Royal Tea is Rich in colour and strong in flavour. We export this particular grade with much success. Rooibos, sometimes referred to as ‘Red Tea’ is a unique, smooth beverage with a vibrant rich red colour, with a slightly nutty, herbal, sweet fruit taste. It has natural anti-oxidants, minerals and is naturally caffeine free. A flavourful alternative for those seeking a stimulant free beverage that’s refreshing and very forgiving, it will not over steep and blends well with other flavours. Farmed in Clanwilliam in the Western Cape all the BAYEDE! Rooibos Tea is farmed and packaged in South Africa. 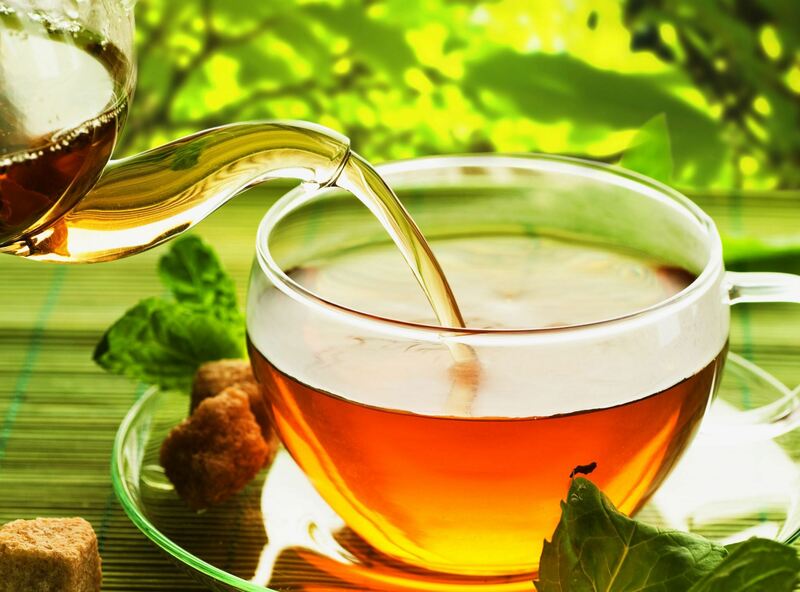 Rooibos has long been recognized for having many healthy beneficial effects. It has been known to help relieve insomnia, various allergies, colic in babies and other digestive ills. It may also help promote healthy skin, teeth, and bones.